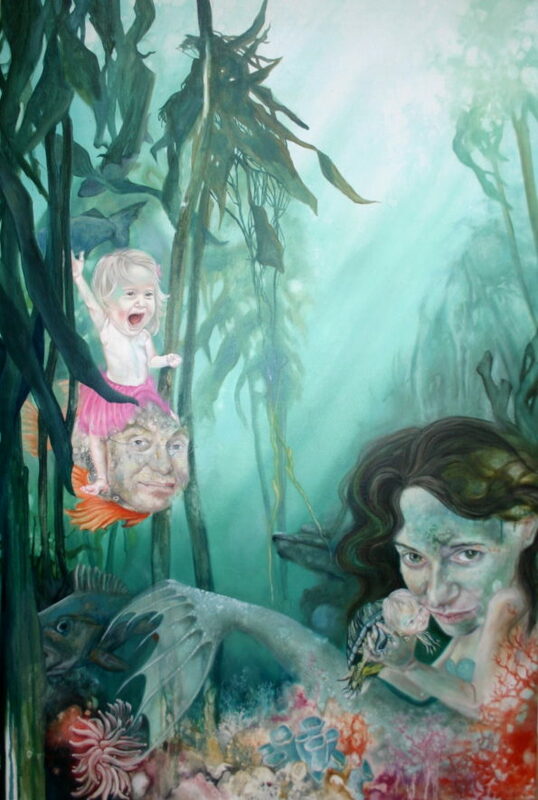 This lovely family portrait was made for a mermaid fan. This particular painting is not for sale. It is to show you what the possibilities are, it’s for inspiration. If you would like a portrait like this or similar, please contact me in person. I love to paint people and portraits come in many shapes and sizes. I paint on wood, canvas or plaster with oil paint or acrylic. All in consultation with you. I make portraits with the support of photos, which I come to take myself if possible. Portraits start at € 485, – I paint children from 7 / 8 years. Ik hou van mensen schilderen en portretten komen in vele soorten en maten. Ik schilder op hout, doek of gips met olieverf of acryl. Dit allemaal in overleg. Portretten maak ik met ondersteuning van foto’s, die ik zo mogelijk zelf kom maken. Een portret in de kleinste vorm vanaf €485,-. Kinderen schilder ik vanaf 7 a 8 jaar.